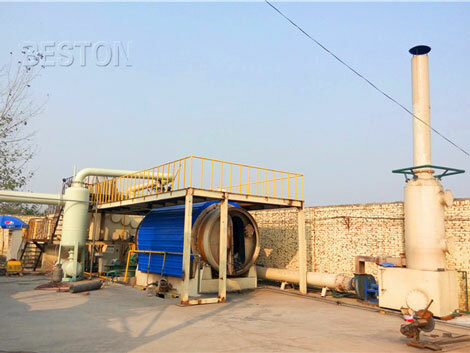 As the most professional pyrolysis plant manufacturer in China, Beston Group has designed the pyrolysis plants for sale into six models and six operating systems to meet different customers’ requirement. Among all the types, the small pyrolysis machine (named BLJ-6, with capacity 6t/d) is a representative of the batch pyrolysis systems and the favorite model for the customers who has lower budget and smaller number of waste plastics to dispose. It can effectively turn waste plastic into fuel oil, carbon black. 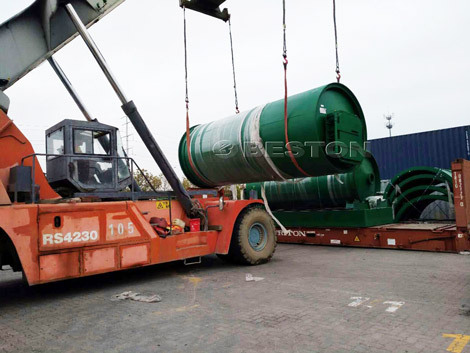 Because of high quality, high EU emission standard and competitive price, pyrolysis plants of Beston Machinery have been exported to many countries, such as United Kingdom, South Africa, Uzbekistan, Hungary, Indonesia, Romania, Korea, Turkey, Dominica, Nigeria, Jordan, Netherlands, Brazil, etc. All customers gave their high praise. 1. 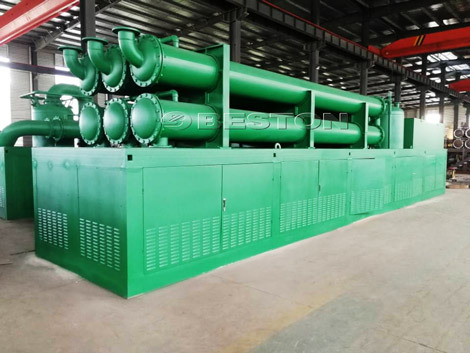 Advanced technology: the small pyrolysis plant adopts advanced pyrolysis technology, which can effectively turn plastic into fuel oil and carbon black. Both of the two products are useful resources and sold well in the market, which will surely bring benefits for customers. Besides, the plant is the first to have created the new heating structure in the world, which not only accelerates the speed of heating, but also has a longer service life. Thus, it greatly improves efficiency and reduces the cost of production for customers. 2. Mature devices: being equipped with safety device (alarm for over temperature and pressure, auto pressure releasing system, extra gas recycling system, fire fighting devices) and advanced dedusting system (dust chemical removing tank, ceramic ring filtering system and alkali sprayers) makes the plastic pyrolysis oil process safe and pollution-free. 3. High pyrolysis efficiency: no matter which operating system you choose, we all have two methods to improve the oil yield. Firstly, our new design for the plastic recycling plant is that the volume of horizontal condenser is three times the size of vertical condensers, so it can further ensure and improve the oil yield efficiency. Secondly, we can provide special catalyst, which is made from 24 chemicals. The catalyst can not only reduce sulfur content and density of oil, but also improve its flavor and color. It can increase average oil output by 5%. 1. BLJ-6 doesn’t need any pre-treating devices. It doesn’t need shredder machine or dryer before feeding materials, which reduces cost for customers. 2. BLJ-6 small scale pyrolysis plant has less occupied area. If you want to start a BLJ-6 plant to dispose waste plastic, covering an area of 20*10*10 m (L*W*H) is enough. 3. The structure of BLJ-6 pyrolysis reactor is 360-degree rotating. This special design makes the bottom of reactor heat evenly, which lengthens the service life of reactor as well as improve the pyrolysis speed. 4. With lower cost and lower price, BLJ-6 small plastic pyrolysis machine can handle 6 ton plastic waste per day, and it works one shift per day. Before the second batch, it need 5-6 hours to cool the reactor. 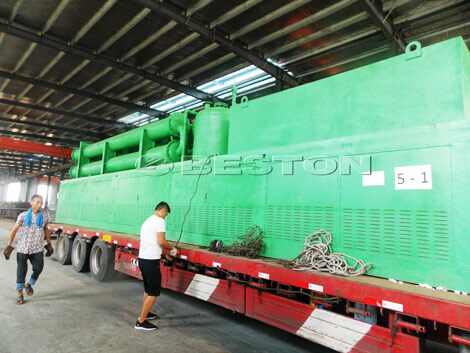 Small plastic pyrolysis machine of we Beston Machinery has passed the certification of CE, ISO. Meanwhile, it reaches the European Union emission standards. Four-layer dust removal system can guarantee non-pollution exhaust emission. Therefore, you can rest assured to purchase the small pyrolysis plant for sale from our factory. 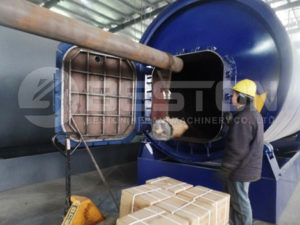 The pyrolysis plant can be used to dispose of waste tire, rubber, waste plastic and oil sludge. If you have any special demands about the pyrolysis plant, tell us. We will customize it for you.